With the latest Azure SDK 2.9.1 available, I have syntax errors on the template, seems the schema was not included in the latest release. While you have syntax errors, you can deploy from Visual Studio with no problems. I suppose this will be fixed on the next Azure SDK release. Thanks to Tom FitzMacken for the indications. Change the tag value through the portal/PowerShell, so new deployment updates work. This sounds like a bug, that will probably be resolved in a future release. David Rodriguez, is a happy Spanish guy living and working in Tenerife (Canary Islands, Spain) where he was born. He is one of the lucky ones who has the opportunity to work with cutting edge technologies at Intelequia as CTO. He has more than 20 years development background mostly based on Microsoft technologies, designing and architecting highly scalable systems like reservation systems for airlines companies. 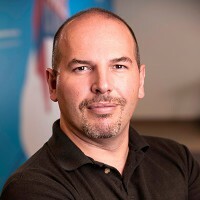 He has been working with Microsoft Azure since it was on CTP, migrating on-premise systems to the cloud, co-founding the .NET User Group TenerifeDev as well as the CSV company Intelequia Software Solutions. He is also the author of different DNN-Azure open source projects available on GitHub such as caching providers, analytics and Azure Active Directory.